One of a series of pictures of metropolitan New York City taken by one of the crew members onboard the International Space Station at various times during the day on Sept. 11, 2001. 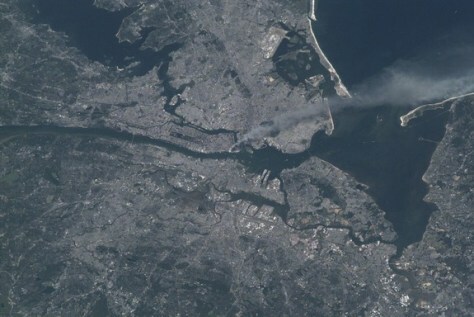 A smoke plume rises from the Manhattan area where the World Trade Center was destroyed. The orbital outpost was flying at an altitude of about 250 miles.